I couldn’t find a word beginning with “T” that meant the same as medley or miscellany. Alliteration thwarted! Yes, the picture is printed on something that could be used in a license plate frame. An aside: I am happy I live in a state that only requires a rear license plate. My wonderful wife’s 2015 Corvette would look strange with a plate stuck on the front. OK, back to Maurice’s request. As much as I like the Z4, when I began looking for a car 6-9 months before I bought one the Z4 was not on my radar. I actually wanted to buy a car with an 8-cylinder, 10-cylinder or even 12-cylinder engine. The Z4 has an inline-6, although boosted to great power by twin turbochargers as well as after-market tuning by me and technicians once I had acquired the car. I wanted an automatic transmission (my views on auto vs. manual are well-known and have been written many times in this blog) and I wanted navigation. I also wanted a car whose looks greatly appealed to me. While I was looking I began “diverting” funds to a savings account dedicated for the purchase. These funds came from savings that already existed, some sales of equity and fixed income holdings as well as income from my investment portfolio. I was going to pay cash for the car with some help from my wonderful wife. I haven’t had a car payment in 13 years; my wife has not had one for 16. I know most people do not have the resources to pay cash for a car, but borrowing money to buy a depreciating asset does not make sense to me. Since I didn’t actually need a car I was somewhat of a reluctant shopper. While I COULD buy a car, technically I am a retired person on a pension so I was not 100% in on this endeavor. My compromise was that I was going to buy a used car. The last year a new Z4 was available the MSRP was $66,000. I paid a little more than a third of that amount for the car I eventually purchased. Why was I looking at all? Well, I thought a good-looking performance car would be at least a partial treatment for my malaise. 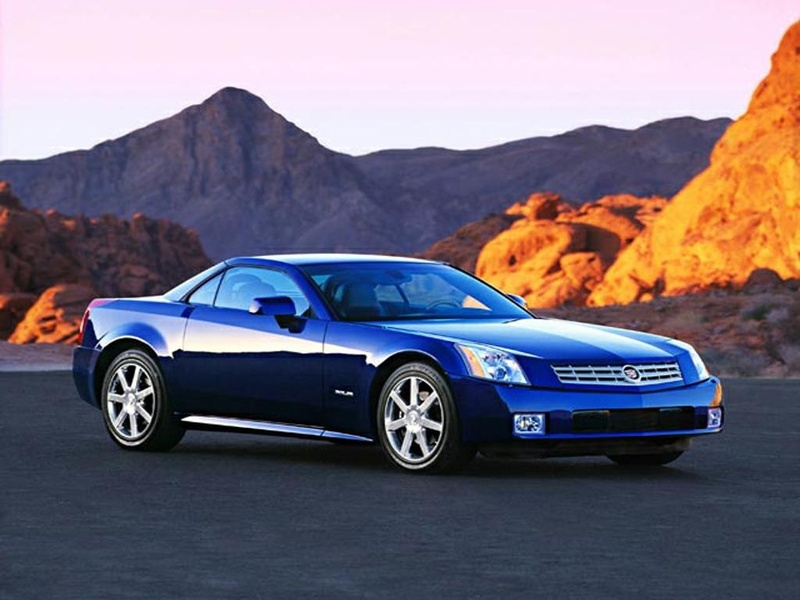 From cargurus.com a picture of a Cadillac XLR. I have always loved the way this car looks and even without the supercharger the V-8 engine gave the car credible performance. Why didn’t I drive one? A friend of mine told me that he had purchased two of them new and that both of them were re-purchased by Cadillac under our state’s lemon law. One of them had spent 244 days in the shop in one calendar year. Finding a second generation (2009 or later) Z4 with an automatic transmission and navigation AND that was not too expensive was difficult. The dealer where I bought my car was 70-80 miles from my house. My wife and I both drove the car and while it was obvious the car also needed brakes, at least in the front, it seemed to be in good shape. The car had just 42,000 miles on it, which for a seven-year old car is not a lot. After a little negotiating, I agreed to buy the car. If you are a regular reader you know that the car has given me fits. It didn’t just need front brakes, it needed brakes all the way around. It needed four new tires, it needed rear wheels at $550 each. The rear wheels were actually cracked. The four buttons on the left side of the instrument cluster of the steering wheel didn’t work. Parts and labor for that job were over $600. I was so happy to have actually found a car that met my requirements I wasn’t as thorough as I should have been during the test drive. Also, I am convinced the previous owner did not take good care of the car and some of the manifestations of that were not obvious at first. With all of the repairs in addition to the purchase price, I have still spent less than half of the MSRP for a new 2016 Z4. When the car is running and not leaking or sounding warning bells, it is ENORMOUSLY fun to drive. I also think it is one of the 10 or 12 best-looking cars ever. I hope I haven’t bored you and that you’ve enjoyed my longest post so far. Please feel free to write about your experiences in buying/owning a car. Oh, I called the post “Tuesday Medley” because I was going to write about more than just the Z4. The best laid plans of mice and men often go awry. On this day, we should acknowledge that beginning with the Revolutionary War nearly 1.5 million American soldiers have made the ultimate sacrifice. Especially in this day and age when serving in the armed forces is voluntary, we should understand the magnitude of what our soldiers do. More American soldiers died in the Civil War than in World War I and World War II combined. Also remember that in 1910 the US population was 92,200,000 and that in 1940 the population was 132,200,000. Like a person with bipolar disorder, life with this car has been extreme. When it’s running and not leaking or sounding warning bells it has been extremely enjoyable, especially since the Dinan Stage 2 power upgrade. When the car has needed its seemingly endless series of repairs, well it’s not been fun, at all. I’ve stopped counting how much I’ve spent on repairs, but the figure has to be in excess of $6,000. I spent $2,600 just to fix two transmission leaks. I also think that some of the difficulties have stemmed from the fact that the previous owner does not seem to have really taken care of this car. That’s always an issue when buying a used vehicle. Have any of you owned a car that has given you a similar experience? Please feel free to let me know. It was a beautiful day here yesterday with sunny skies, dry air and a high temperature of about 78°. With my wonderful wife out of town for the day on business I decided to take the Z4 for a drive. I think this is a beautiful car, one of the ten or so best-looking cars ever made. How about this view? I think it looks great either way. Since the Dinan Stage 2 upgrade, if I put the car in Sport mode it really barks with any decent amount of throttle input. With the top down I can really hear that bark.